Who would have thought some years ago that the that employees and managers on both Apple’s and IBM’s side ever understand each other, or even worked together on a significant scale. 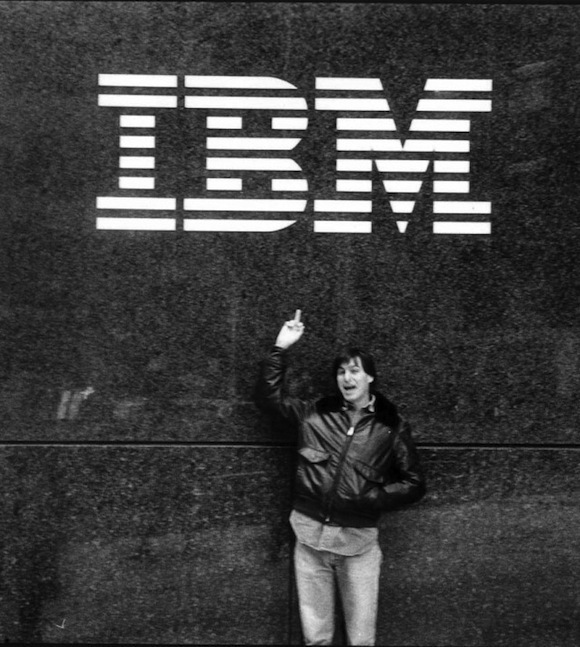 From extensive app collaboration announced in 2014, to a newly announced service offering that should help corporate clients to roll-out Apple hardware in their companies, it has really come a long since Steve Jobs flipped the bird at IBM in 1983. For their new corporate program IBM even sent their VP ‘Workplace as a Service’ – Fletcher Previn – to Apple for training and ‘immersion’. Previn was able to witness how Apple is “able to manage large numbers of people with far fewer resources than you would see in a traditional PC environment”, and “was amazed by the smooth experience Apple had built for its own people”. This is a very open statement from an IBM guy, especially considered that IBM should have exactly that know how and skill set for corporate clients even more than Apple does. Apple gets more and more traction in the corporate environment, though, and it is a smart move for IBM to learn from companies like Apple how to stay agile and nimble in the changing environment.